I'm in the midst of a huge genealogy project, trying to find the common ancestors my parents share. Yup. DNA analysis shows that my parents are distant cousins. 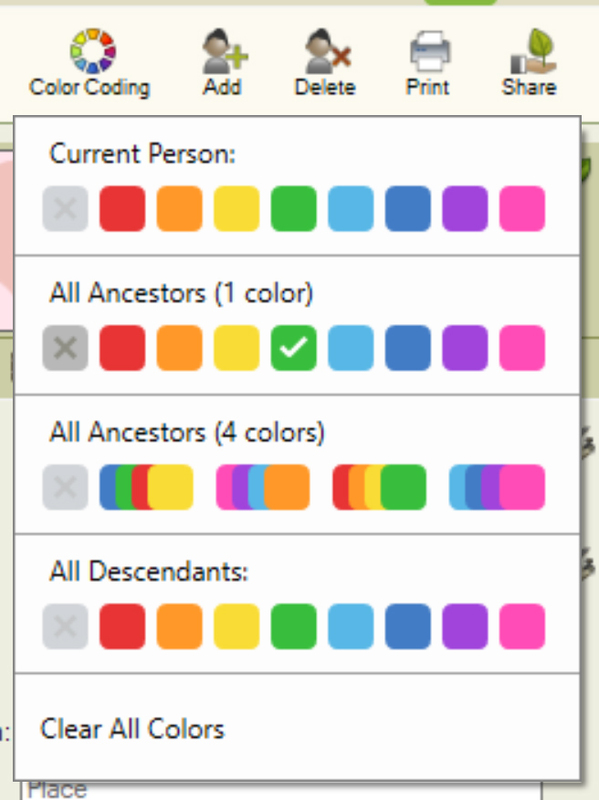 By adding more and more great grandparents to my ancestor chart, I should find the couple that connects my parents. If you've had a DNA test, you should be able to download your raw DNA file. 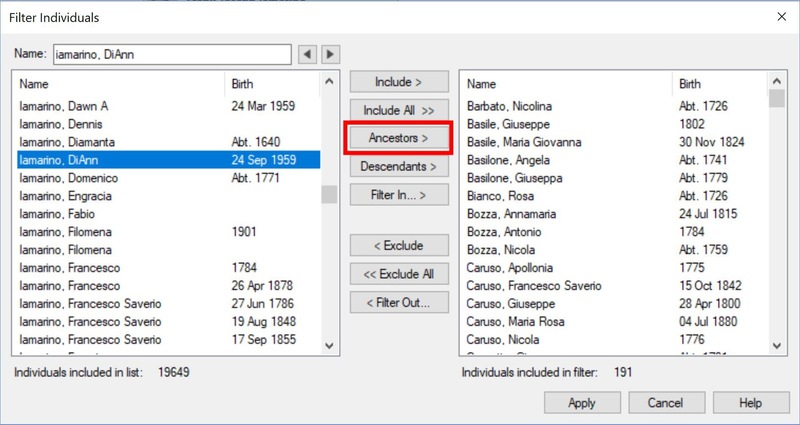 Then you can create a free account at GEDmatch.com and upload your raw DNA file there for analysis. One of their tests is called "Are you parents related?" See Free DNA Analysis Finds Kissing Cousins. I've also had my parents' DNA tested, and Ancestry DNA estimates they are third to fifth cousins. 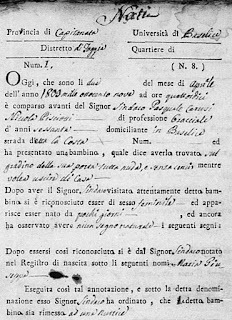 That's why I'm scouring my downloaded Italian vital records for that one magic couple. 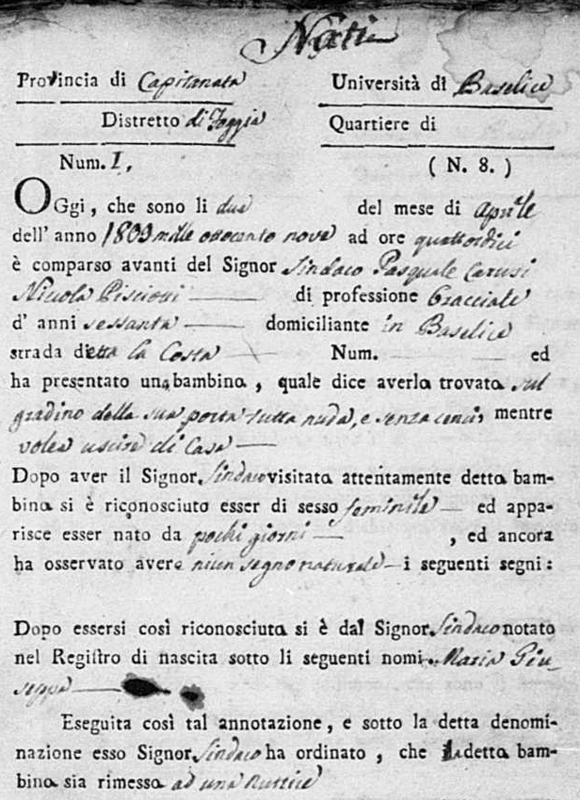 As I explained last time, I'm trying to be efficient with those Italian records. I'm entering the basic facts into a spreadsheet, and focusing on the names that matter most to me. 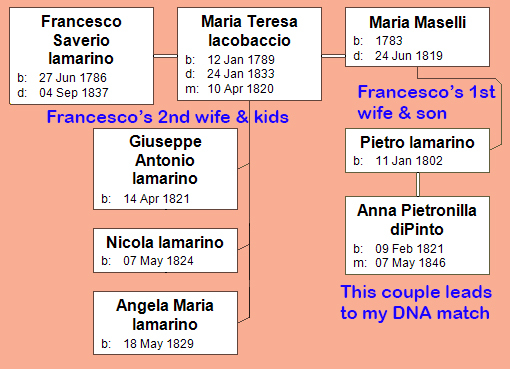 See Genealogy: Where Endless Searching is Part of the Fun. 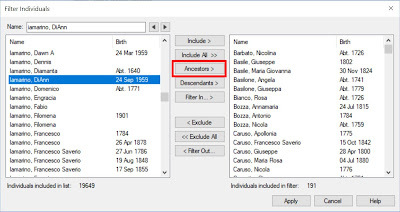 Filter your family tree index by ancestors-only. 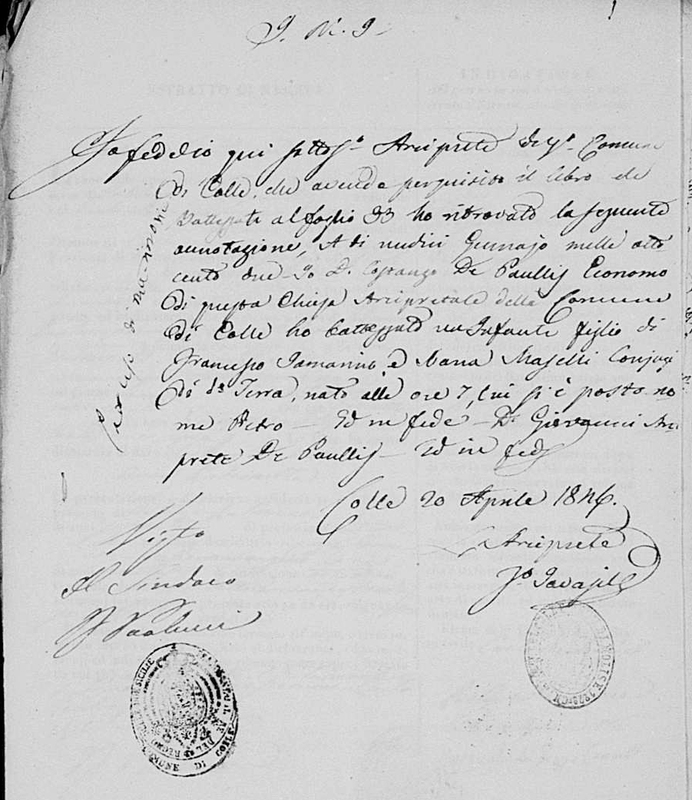 Last night I found the last name d'Emilia in some early 1800s marriage records. 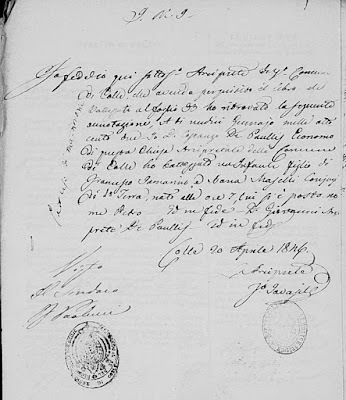 My fifth great grandfather was Ferdinando d'Emilia and his father was Giuseppe d'Emilia. 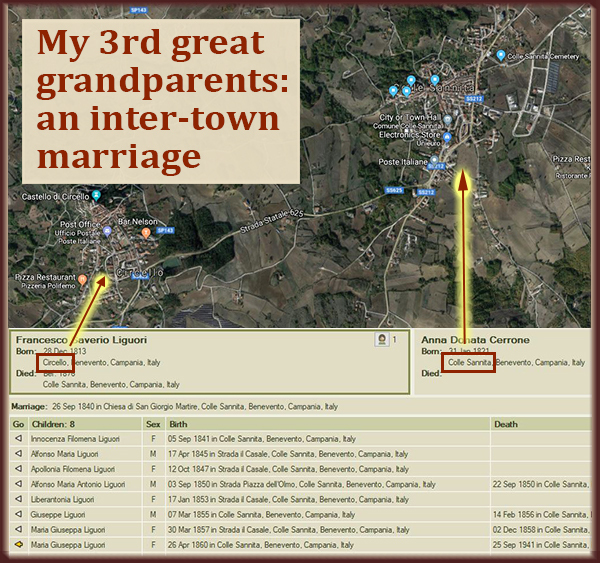 So I grabbed all the details from these marriage records and compared them to my Family Tree Maker file. I had a hit! 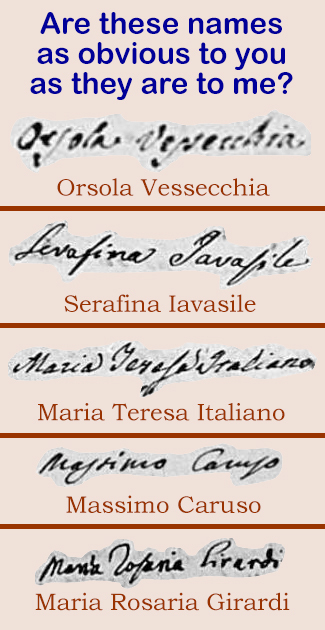 Annamaria, Francesco Saverio and Costantino d'Emilia were the siblings of Ferdinando and the children of Giuseppe d'Emilia. Color coding lets you limit your display. 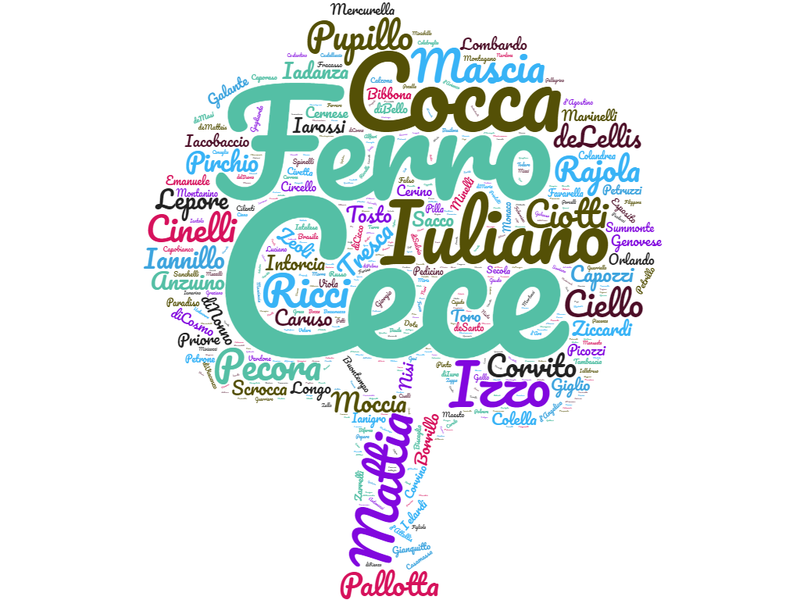 But what if I'd forgotten that I had d'Emilia in my tree? My family tree has more than 19,000 people. 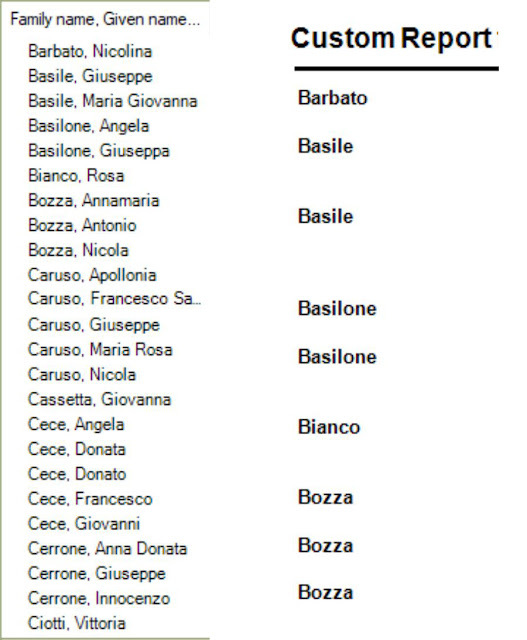 That's a crazy amount of last names. 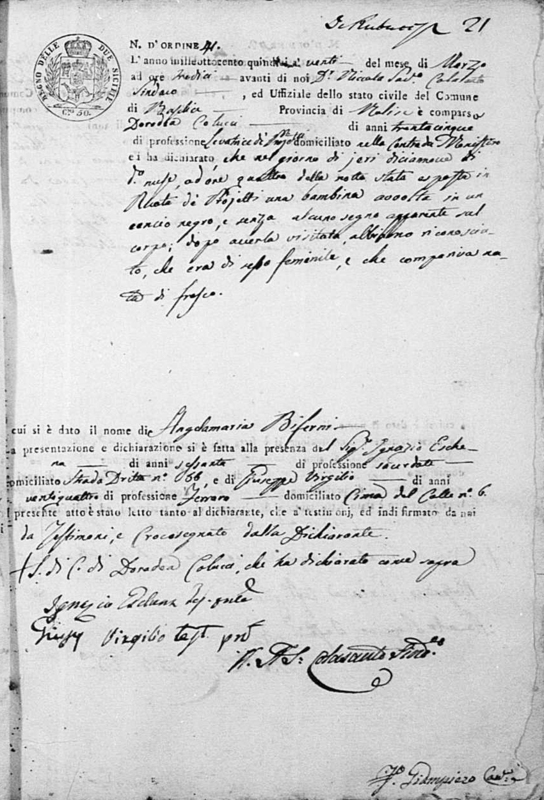 How can I keep them all top-of-mind while I'm searching through these Italian documents? 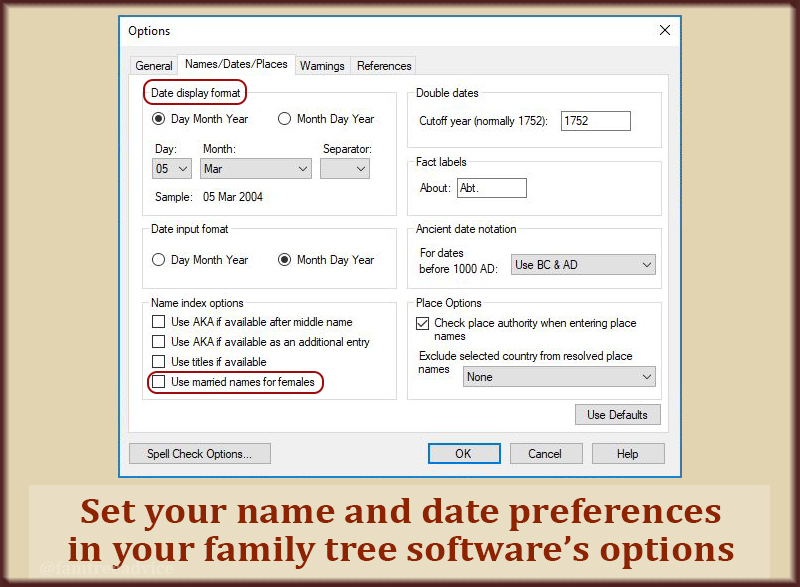 Today I found a feature in my family tree software that I've never used before. It's a filter you can add to the name index. This allowed me to show the names of only my direct ancestors. That's the list of names I want to remember as I'm sifting through my collection of vital records. 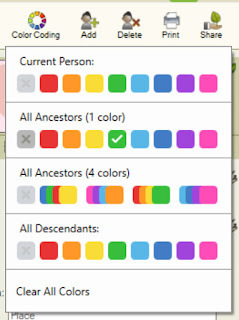 I can also restrict the index by using Family Tree Maker's new color-coding feature. 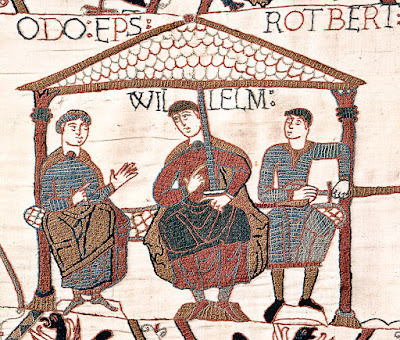 I gave my ancestors a green color. If I click on green, only my ancestors appear in the index. 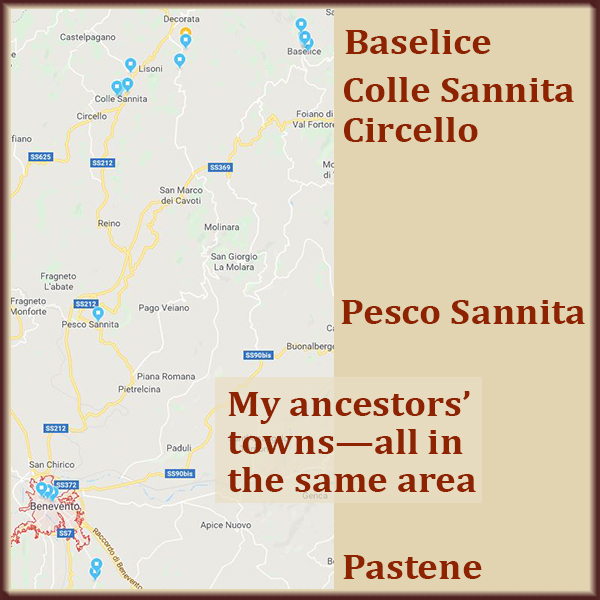 A filtered index and a filtered report give me only the names of my direct ancestors. This leaves me with a list of my last names. It's a long way to go, I realize. 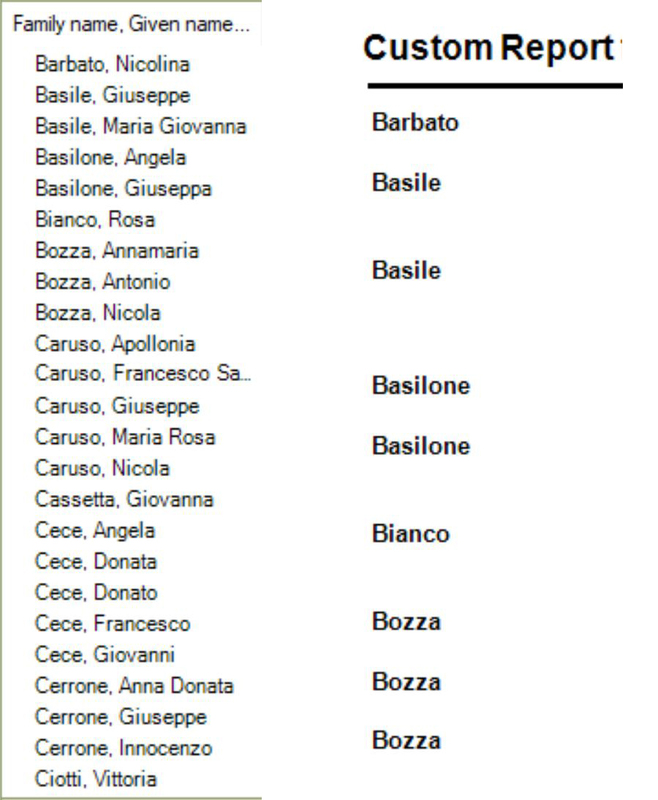 But if I can commit those names to memory, or glance at the list, it will help me find that missing link for my parents. The lesson: Break out of your comfort zone. 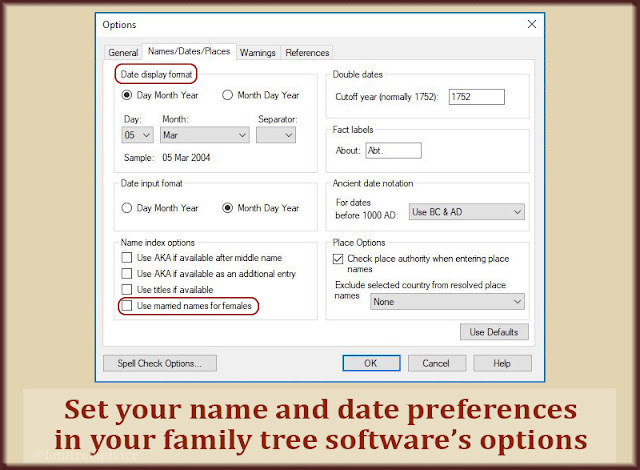 Explore everything your genealogy software or genealogy website can do for you.